Mission: To support and advocate for agricultural education and FFA through gifts of time, talent and financial resources and make a positive difference in the lives of students by developing their potential for premier leadership, personal growth and career success through agricultural education. To support and promote FFA activities and agricultural education on local, state and national levels. To provide a tie to and assist FFA and agricultural education personnel to involve former members, supporters and volunteers in worthy activities. To cooperate with the National FFA Board of Directors and the National FFA Foundation. To promote the personal development of the FFA and FFA alumni members and volunteers. Parents, friends, supporters, any past FFA members–anyone wanting to support FFA, agricultural education and agriculture is welcome to join the National FFA Alumni Association. 2019 Alumni and Supporters Agriculture Travel Program FFA has partnered with Agrotours to offer the new FFA Alumni and Supporters Agriculture Travel Program. 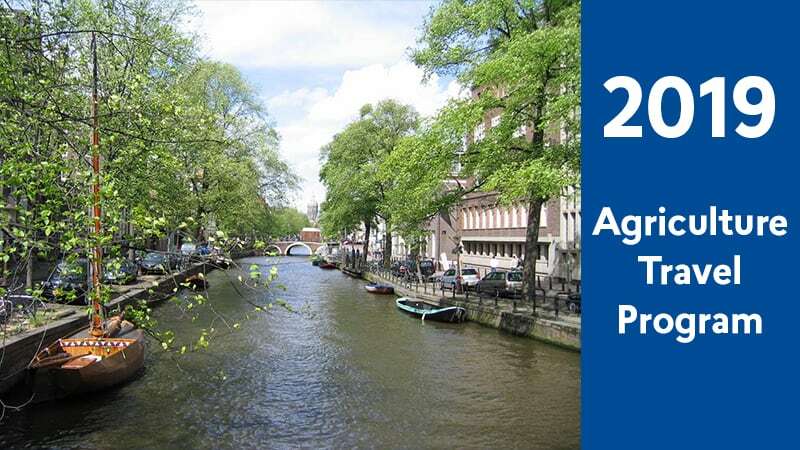 Up to 48 alumni and supporters can participate in the inaugural travel program that will take participants on a tour through the Netherlands and Germany July 1-10, 2019. Click on the image to learn more about the planned tours, agribusinesses, and accommodations.